INCLINE VILLAGE, Nev. — With the recent avalanche activity we have had the past several months, it is a good time to talk about the avalanche alert terminology we have been using this winter with our alert notifications. Several collaborating agencies and responders in our response area have come up with three stages to identify the severity of an avalanche situation. Stage 1 (Warning): A storm that could produce significant avalanche activity in the high hazard areas such as Crystal Bay and/or Third Creek has been forecast to arrive within the next 24 hours. No avalanche danger currently exists, but may exist in the near future if the forecast storm materializes. Evacuation of homes in the specified high avalanche hazard areas should be considered. Action: Stage 1 – All activities such as snow removal, vehicle access, etc., may continue normally for the time being. All residents of affected areas such as Crystal Bay and/or the Third Creek subdivisions will be informed that a winter storm is approaching that could deposit significant new snow in the avalanche start zones. If the storm comes in as forecast, there may be a potential for avalanche activity affecting the homes and roads in the upper Crystal Bay subdivision. All residents should be prepared to avoid these areas when the storm arrives. Homeowners on these streets should be prepared to evacuate or shelter in place for the duration of the storm and potentially for 24 hours thereafter. Stage 2 (Watch): The current storm snowfall intensity is likely to produce significant avalanche activity in the high avalanche hazard areas of Crystal Bay and/or Third Creek within the next few hours. No avalanche hazard currently exists, but immediate evacuation of homes in these areas should be considered. Action: Stage 2 – Residents who wish to evacuate to a safe location should do so within the next few hours. If you need assistance with evacuation, please call the Fire District at 775-831-0351. Snow removal crews should begin to wrap up their activities in the affected areas. Stage 3 (Advisory): The current storm has produced enough new snow to create a potential for significant avalanche activity in the high avalanche hazard areas of Crystal Bay subdivision and/or the Third Creek area. It is recommended that residents in these areas remain inside their homes until advised otherwise. Action: Stage 3 – The affected areas of Crystal Bay and/or Third Creek will now be closed. No access to these areas will be permitted until further notice. No snow removal crews or equipment are permitted in the designated hazard areas until further notice. 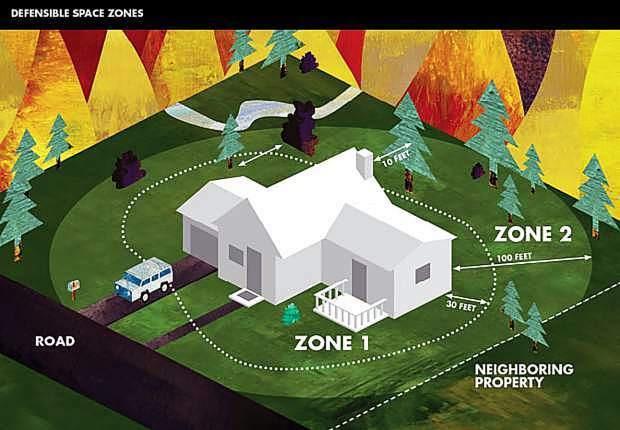 Homeowners who have not evacuated should shelter in place until further notice and avoid upslope walls, doors, and windows. For more avalanche information, please visit Sierra Avalanche Center at http://www.sierraavalanchecenter.org.